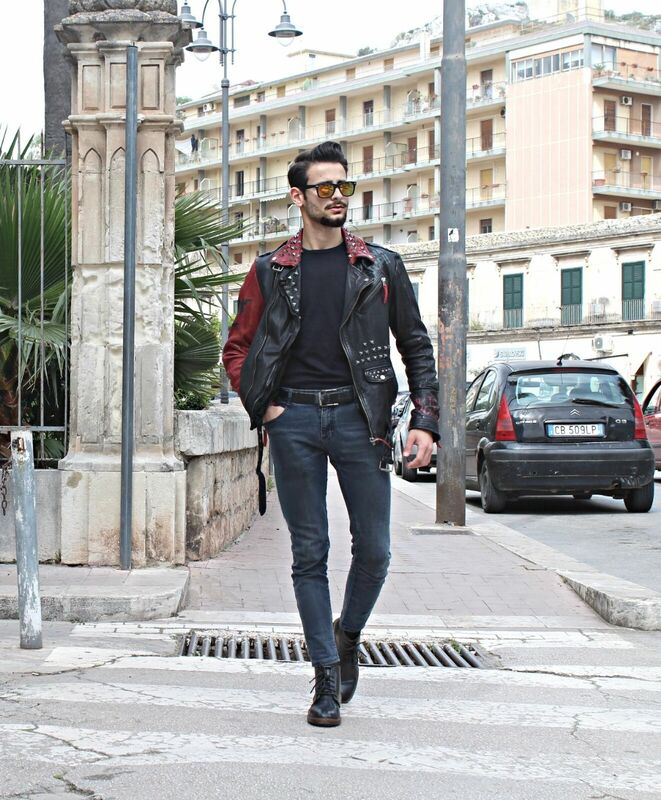 Do not you know how to style your leather jacket? no problem, you’re in the right place to find out. 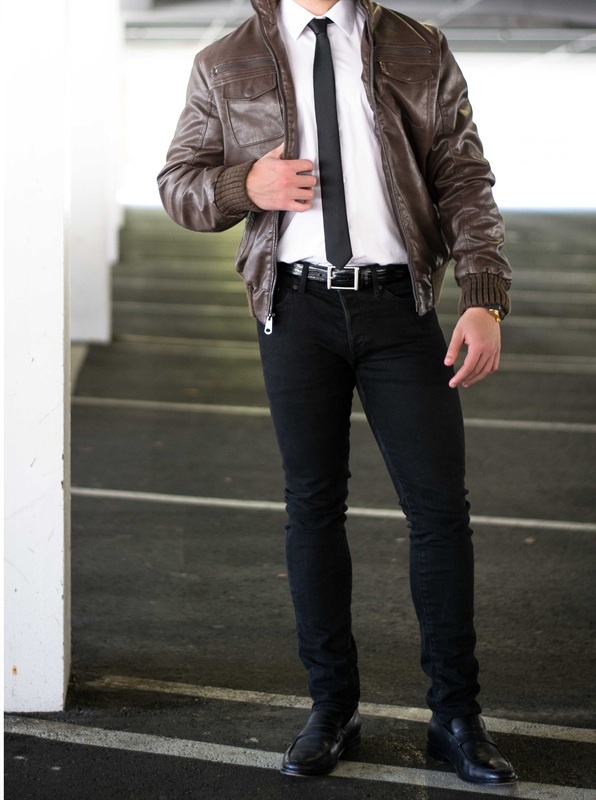 The leather jacket is a piece of clothing that no man can not have in his wardrobe, it is an incredibly versatile garment, able to adapt to many styles, however giving that tone of bad boy to the wearer. As you can see in the picture I have weared a pair of leather boots to make the look a little more aggressive and captivating, but evenly a pair of black sneakers would be good. Strictly a pair of dark jeans in tone with the jacket, and a black sweater or if we want to give a little contrast the white, I opted for the black cause the jacket is already composed of two colors, (always avoid an excess of colors with a leather jacket). Who says you can not match a tie and a leather jacket? We are in the XXI century and this kind of combination is not only normal to see, but even fashionable, so if you are Blazer-phobic is the time to think to a beautiful leather jacket! In this case, however, the leather jacket must be simple so no studs or you risk looking like a clown. Shirt strictly white to create a beautiful contrast to see, usually dark pants and shoes. If you need a personal or targeted opinion, comment at the bottom and I will be happy to help you compose your look, see you soon!